call (805) 457-5550 or visit oxnard.levitylive.com. Whether we're talking about the Saturday Night Live skits or the two films based upon them, Wayne's World enjoyed its heyday a little bit before my time (the first film came out six months before I was born). My introduction to Dana Carvey was, as I'm sure for many millennials, 2002's The Master of Disguise. I remember being torn between which movie to see in theaters for my 10th birthday—The Master of Disguise or Spy Kids 2: The Island of Lost Dreams. I went with the Spy Kids sequel. 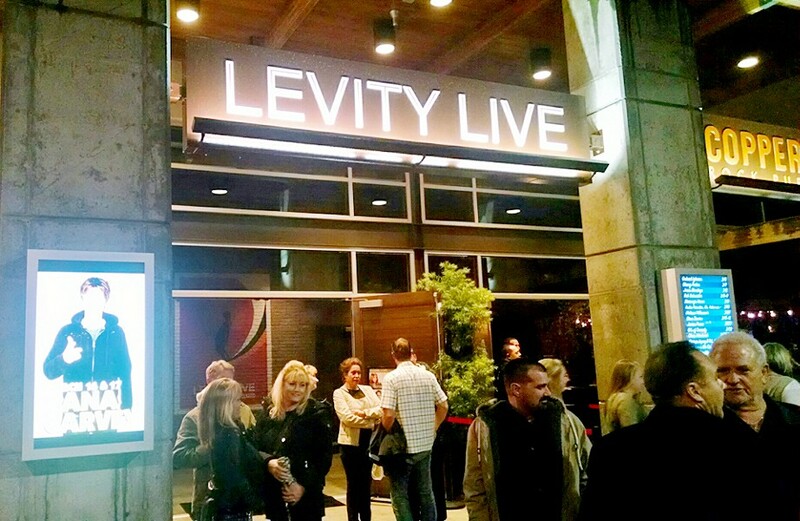 FROM TURTLE CLUB TO CHORTLE CLUB Levity Live hosts different comedians—including George Lopez, Dennis Miller, and Kevin Smith—on a daily basis. While many Carvey fans may know him best for his SNL creations like Garth Algar and Church Lady, the first characters of his that pop into my mind are still the ones from Master—Pistachio, Gammy Num Nums, Constable Mueller, and Terry Suave. Who am I forgetting? Oh, duh, the Turtle Club guy! 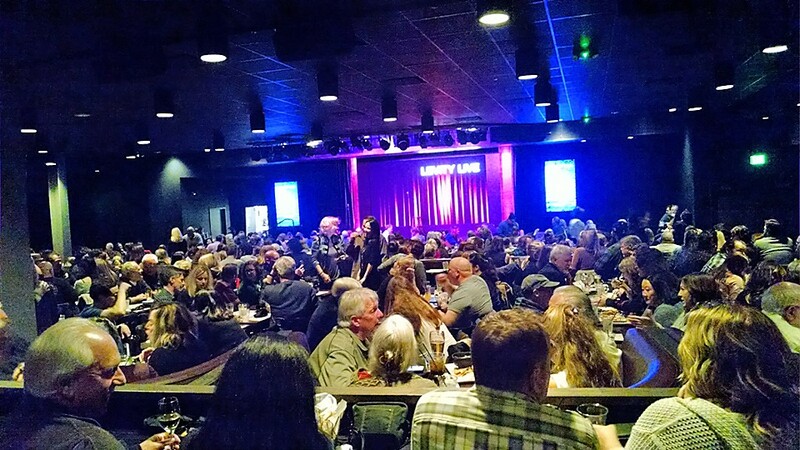 One of my goals prior to attending Carvey's recent show at Levity Live, a comedy club at Collection Riverpark in Oxnard, was to find a green turtleneck to wear—in hopes of getting a photo with Carvey and posting it with the caption, "Am I not turtley enough for the Turtle Club?" I wasn't able to get that turtleneck in time, but that didn't stop me from enjoying myself. My friends and I arrived half an hour before the show started and the venue was almost at full capacity. We grabbed a booth at the very back of the club and ordered some drinks and lots of food—nachos, garlic fries, chicken tenders, mac and cheese, the works. The opening act began in no time, which happened to be a pair of 20-somethings touring under the name "The Carvey Brothers." Turns out the duo, Dex and Thomas, are Carvey's actual sons. Nepotism aside, their jokes weren't half bad. FULL HOUSE Photography was prohibited during the show but I snapped this shot of the crowd before Dana Carvey took the stage. It was also fun to see Carvey's sons in the flesh prior to his impressions of them (which sounded pretty accurate). Rather than list everyone Carvey did do an impression of that night, it might be easier to name everyone he didn't. After seeing how many U.S. presidents he was able to caricature (without becoming repetitive or dull), I kind of want to start a petition calling for him to get a doctorate and start teaching U.S. history courses at Cal Poly. Aside from a few new (at least to me) anecdotes and improvisation, most of Carvey's set that night was nearly identical to his routine in his Netflix special, Dana Carvey: Straight White Male, 60. 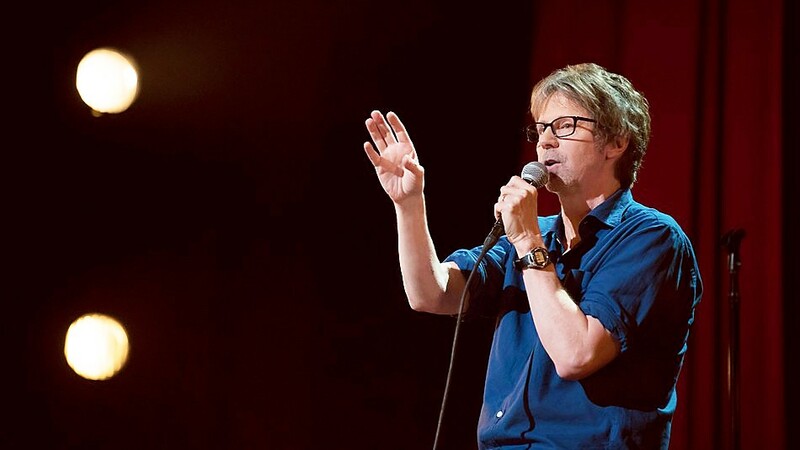 NOW STREAMING Most of Dana Carvey's set was identical to his routine in his Netflix special, Dana Carvey: Straight White Male, 60. Calendar Editor Caleb Wiseblood hopes he's turtley enough for the Turtle Club. Contact him at cwiseblood@newtimesslo.com.